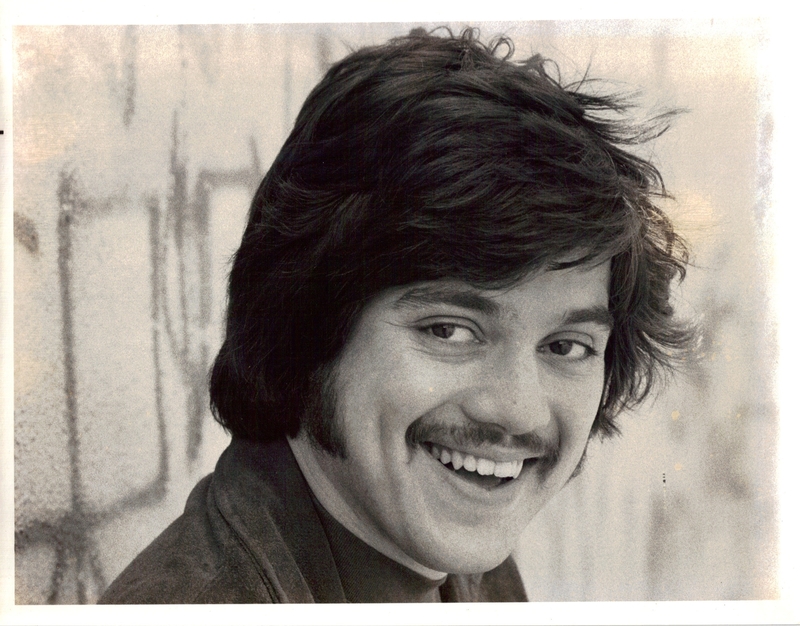 37 years ago tonight, on Thursday, December 6, 1973 Freddie Prinze became a star. 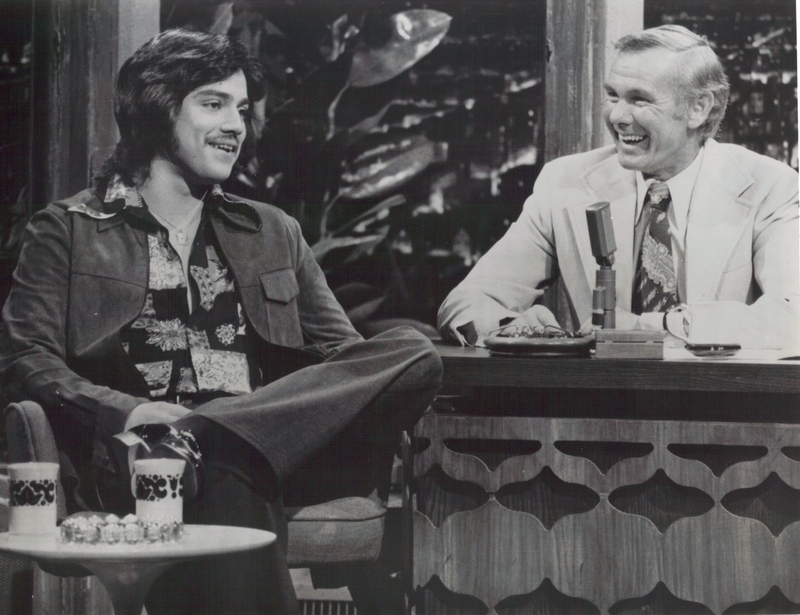 Freddie Prinze with Johnny Carson on a later "Tonight Show" appearance, circa 1975. That was the night the young comedian made his first appearance on “The Tonight Show Starring Johnny Carson.” Throughout Carson’s 30 year reign, stand-up comedians vied for a coveted spot on “Tonight” because one good performance could literally give you a career. And while Carson rarely invited a new comedian to sit down after their first appearance, a simple “OK” sign from the “King of Late Night” was like the Good Housekeeping Seal of Approval. 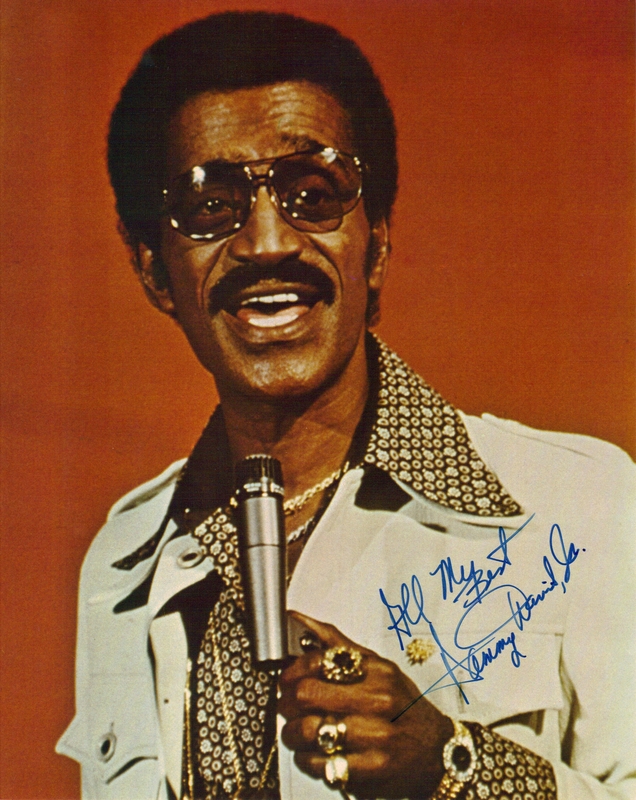 Publicity photo of Freddie Prinze sent to fans of "Chico and the Man"
On December 6, 1973 Sammy Davis Jr. was seated to Johnny’s right as 19-year old Freddie Prinze came on stage for the most important performance of his life. 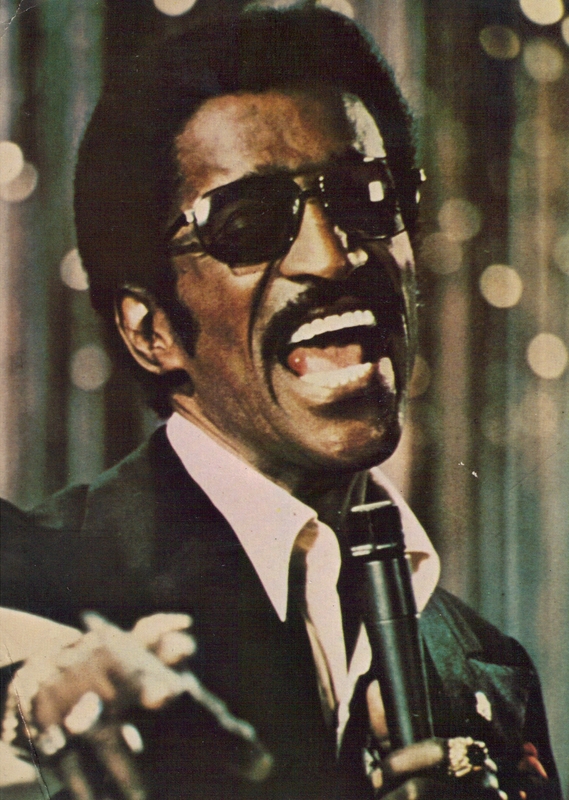 While the audience loved him, and Carson was impressed, some say it was Davis’s fawning over the comic that prompted Johnny to wave Freddie over to the chair. 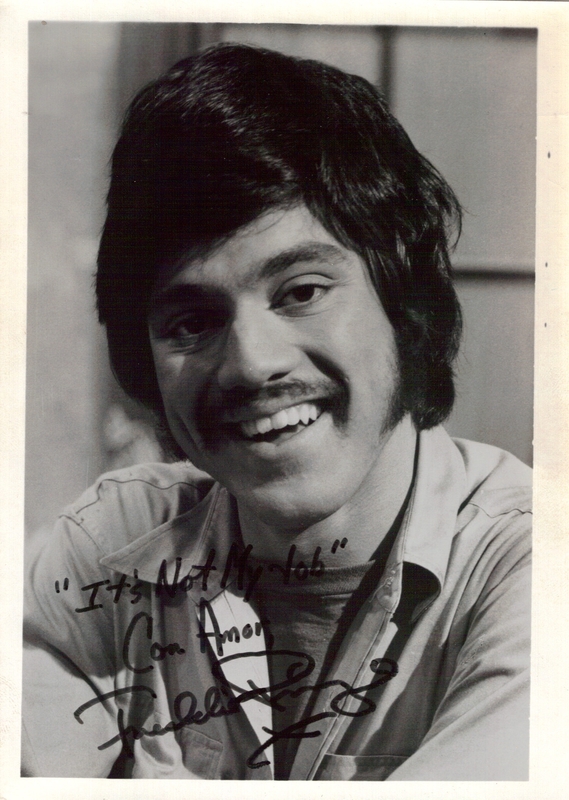 Publicity photo of Freddie Prinze sent to fans, circa 1974. While better gigs and more money did follow for Prinze, it was more important that producer James Komack, was watching “The Tonight Show” that night. 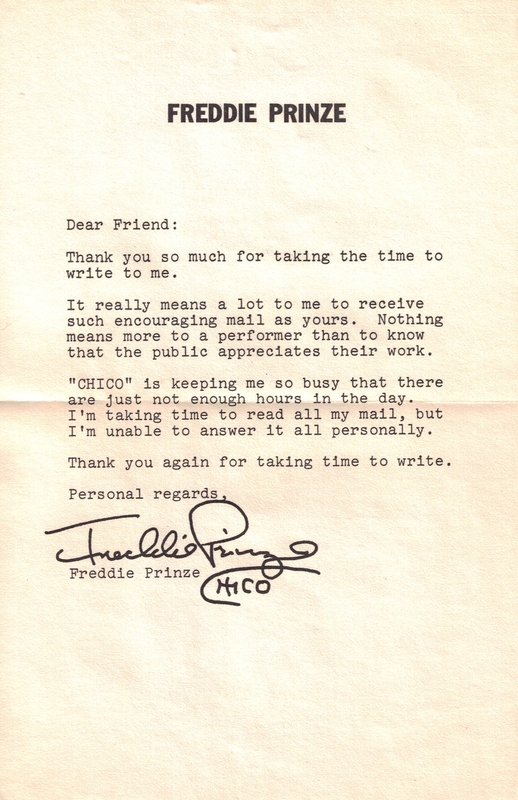 Komack was in the process of creating the sit-com “Chico and the Man” and that confluence of circumstances would change Prinze’s life. Nine months after that fateful “Tonight Show” appearance “Chico and the Man” starring Freddie Prinze and veteran actor Jack Albertson premiered on NBC. Letter to fans that accompanied the previous photos. And so, a good performance on “The Tonight Show” literally gave Prinze a career. I don’t mean to suggest that he didn’t earn it; rather I’m trying to emphasize the power of Johnny Carson’s “Tonight Show,” especially in the 1970s. 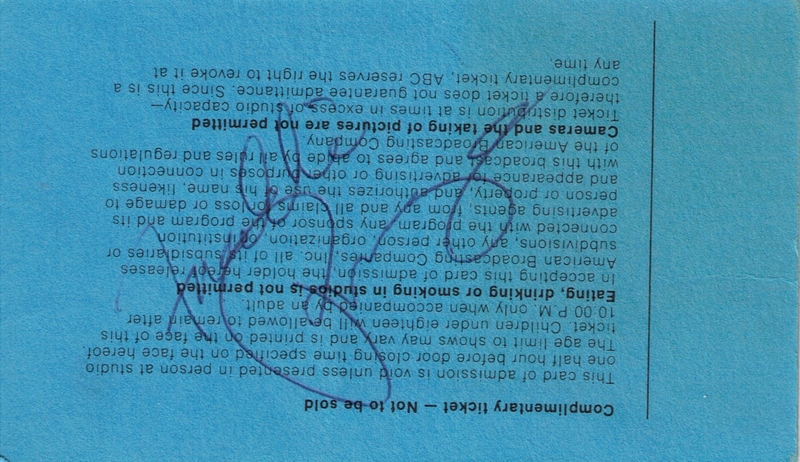 Autograph sign by Freddie Prinze on September 27, 1974, after a taping of "The $25,000 Pyramid"
Freddie Prinze became a sit-com star, a Vegas headliner, and a guest host on “The Tonight Show.” He recorded a comedy album and starred in a TV movie. Prinze also had a drug problem. And in January 1977 Freddie Prinze died from a self-inflicted gunshot wound to the head. Few know that Prinze was not making his network debut that December evening. Months earlier he had performed on Jack Paar’s late night show on ABC without much notice. But it was “The Tonight Show” that mattered and Prinze would always refer to his December 6, 1973 appearance as his TV debut. 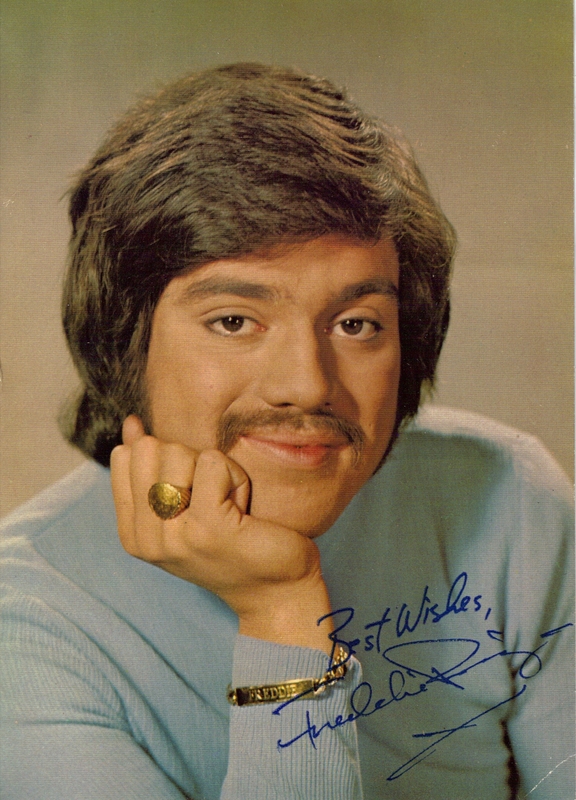 Sadly, viewers only got to enjoy Freddie Prinze for a little more than 3 years before his career and his life came to a tragic end. 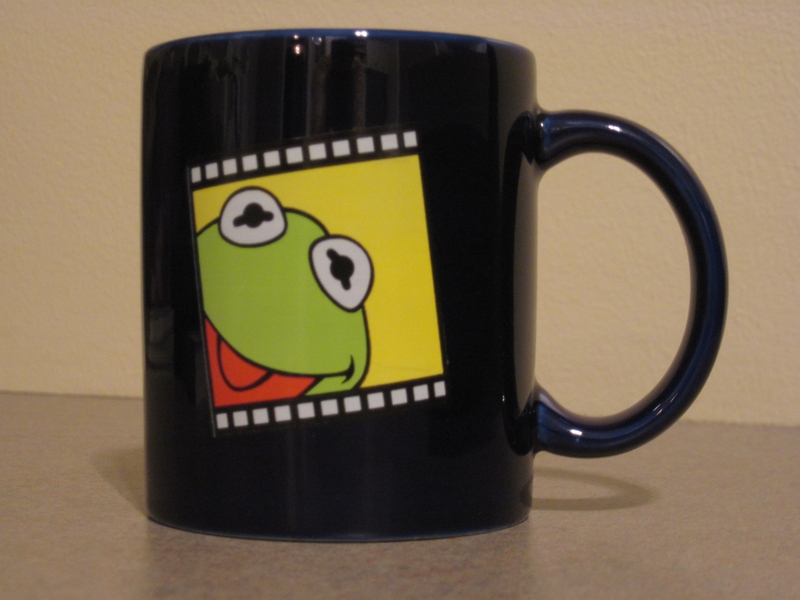 But that story, dear friends, is best saved for another date in TV history.